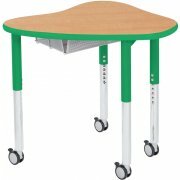 The Synergy Collaborative Desk from Academia supports both collaboration and individual work. 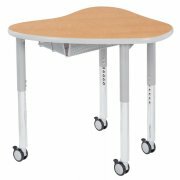 The cool contoured shape can work as a stand-alone work space or fit right into clusters of up to 6 desks. This allows teachers to vary the learning style during lessons and help students develop important 21st century skills. These collaborative desks are built to last no matter how often they are rearranged. Steel frames and heavy-duty plates provide sturdy support to the high-pressure laminate desktop. 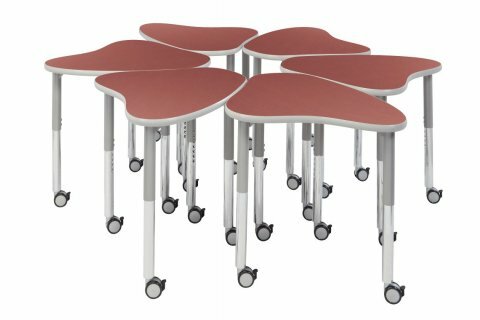 Whether your students are solving problems, completing projects, taking notes or brainstorming, these school desks provide a great place to learn.